Our goal is to provide effective learning experiences for students and be able to evaluate their learning authentically. 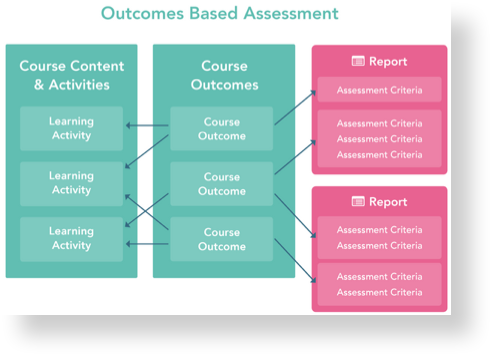 To that end, we have designed our assessment system around the learning outcomes of a course rather than specific assignments, exams, and other box-checking activities. The course design and assessment design can be created independently with both aligning to the same Learning Outcomes.